Out West, originally uploaded by needlepointernc. If you want to go OUT WEST from Boston, you can take Interstate 90 all the way to Seattle Washington. 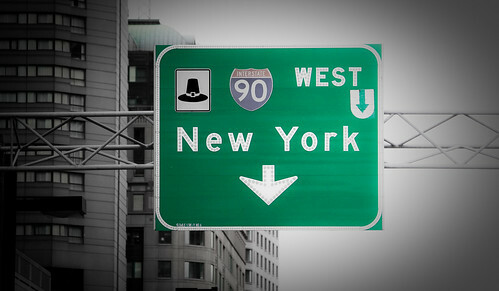 In Massachusetts, I-90 is called the Mass Pike. It is a toll road and has been a toll road forever. It was supposed to stop being a toll road at some point, but that never happened. We drove on Interstate 90 across the State of South Dakota. 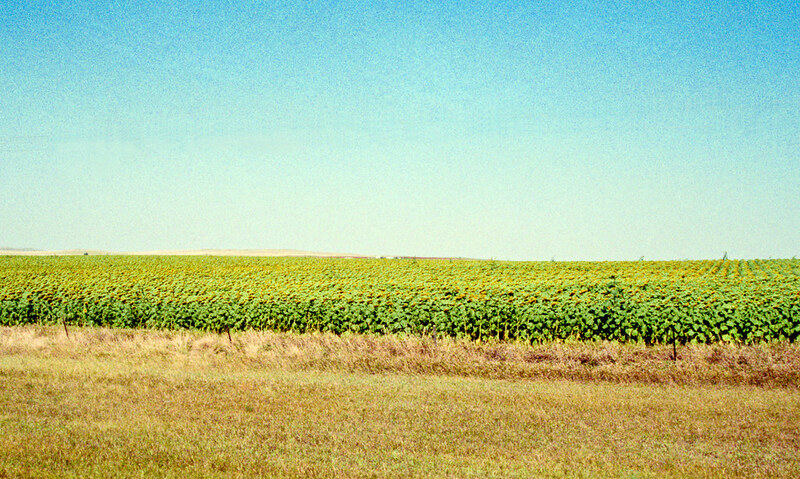 Nothing but sunflowers for miles and miles and miles!